Be Very Careful of Scam Emails!! 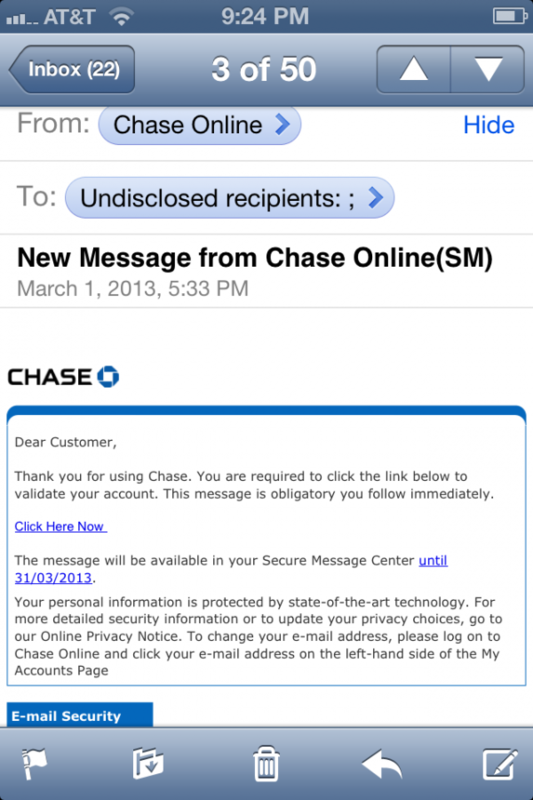 Thank you for using Chase. You are required to click the link below to validate your account. This message is obligatory you follow immediately. The message will be available in your Secure Message Center until 31/01/2013. Your personal information is protected by state-of-the-art technology. For more detailed security information or to update your privacy choices, go to our Online Privacy Notice. To change your e-email address, please log on to Chase Online and click your e-mail address on the left-hand side of My Accounts Page. Here are some screen shots of the actual email. Bottom line be very careful with emails you receive, especially if they are from a financial institution or if they want personal information. It seems like these are coming more frequently. 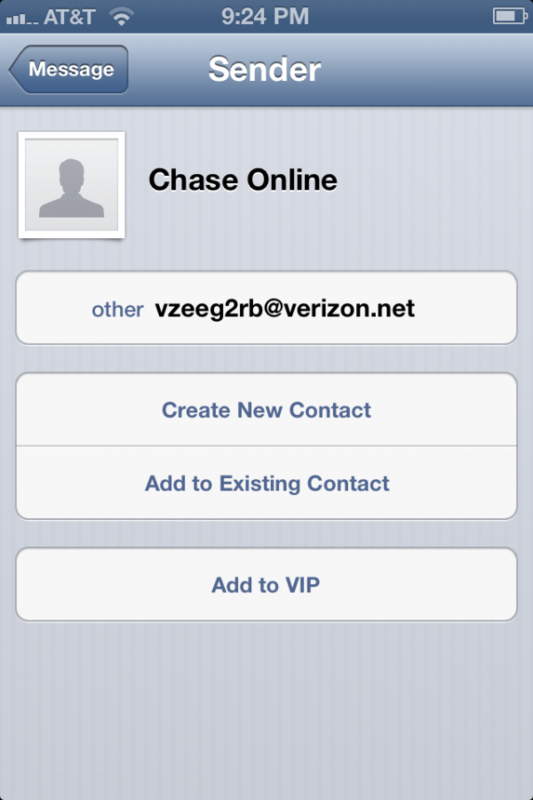 I did contact Chase and they advised it was fraudulent and I have forwarded the email to them. When in doubt check with the source and DELETE!